Mac and cheese made creamier with avocado. I'm sure everyone knows about mac and cheese, or mac & chi, as we like to call it. James always likes to get mac and cheese. I don't really like buying it. However, we both agree on avocados and cheese. Then I got thinking - why not just make my own mac and chi - how hard could it be? Even James, who claims his cooking ability is limited to boiling water, making ramen, and cooking eggs, said he's made mac and cheese before. (Never mind him leaving out the Easy Mac part.) Fortunately, I saw this recipe from Two Peas and Their Pod. I knew it was meant to be. I used Pepper Jack cheese, and we enjoyed the little bit of spice, but we would also have liked a bit of cheddar. Maybe next time, we'll use a Pepper Cheddar or use a mix of Pepper Jack and Cheddar. We also really liked the addition of avocado since it really adds a nice creaminess. Plus, the lime, garlic, and cilantro packed in some extra flavor. 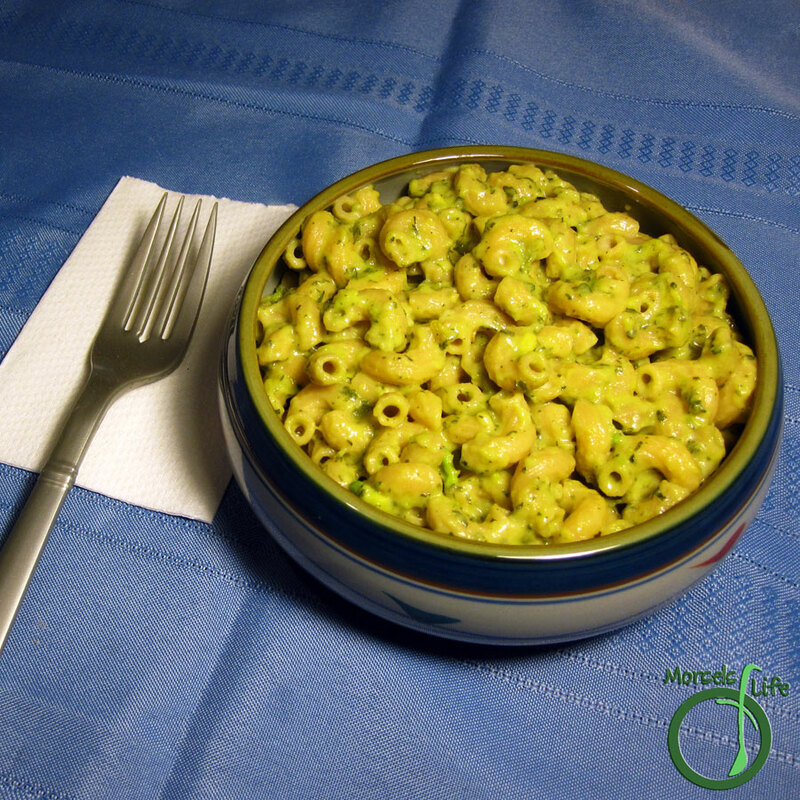 Give this Avocado Macaroni and Cheese a try and see what you think! What's your favorite cheese to use in mac and chi? 8 ounces cheese, cubed, shredded, or sliced I'd recommend a combo of white cheddar and pepper jack. Cook pasta following package directions, and then drain. Meanwhile, melt butter in a saucepan. Then whisk in flour to make a paste. Whisk in milk and add cheese to butter mixture. Continue stirring over heat until cheese melted and sauce creamy, then turn off heat. Mash avocado with lime juice, garlic, and cilantro until homogeneous. Toss together pasta, cheese sauce, and avocado mixture until pasta well coated. I never thought about putting avocado in mac and cheese - but since I love avocado, I'll try it. Let me know what you think! It's one my husband frequently requests. :) Hope you enjoy! Funny, I had this for dinner tonight! Thank you for sharing at #WonderfulWednesday! Make sure to do something nice for yourself this week! I've never thought to add avocado but it sounds delicious. Thanks for sharing with us at #OvertheMoon.